phpLiteAdmin is even more powerfull than SQLite itself! Add, drop or rename columns or change their type – incl. features SQLite does not support! 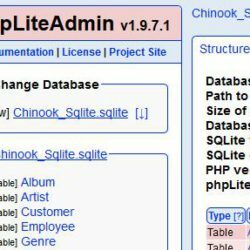 phpLiteAdmin is a web-based SQLite database admin tool written in PHP with support for SQLite3 and SQLite2. 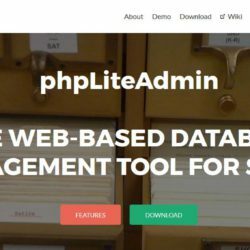 Following in the spirit of the flat-file system used by SQLite, phpLiteAdmin consists of a single source file, phpliteadmin.php, that is dropped into a directory on a server and then visited in a browser. There is no installation required. The available operations, feature set, interface, and user experience is comparable to that of phpMyAdmin. Note: To report bugs and request features, please use the issue tracker instead.